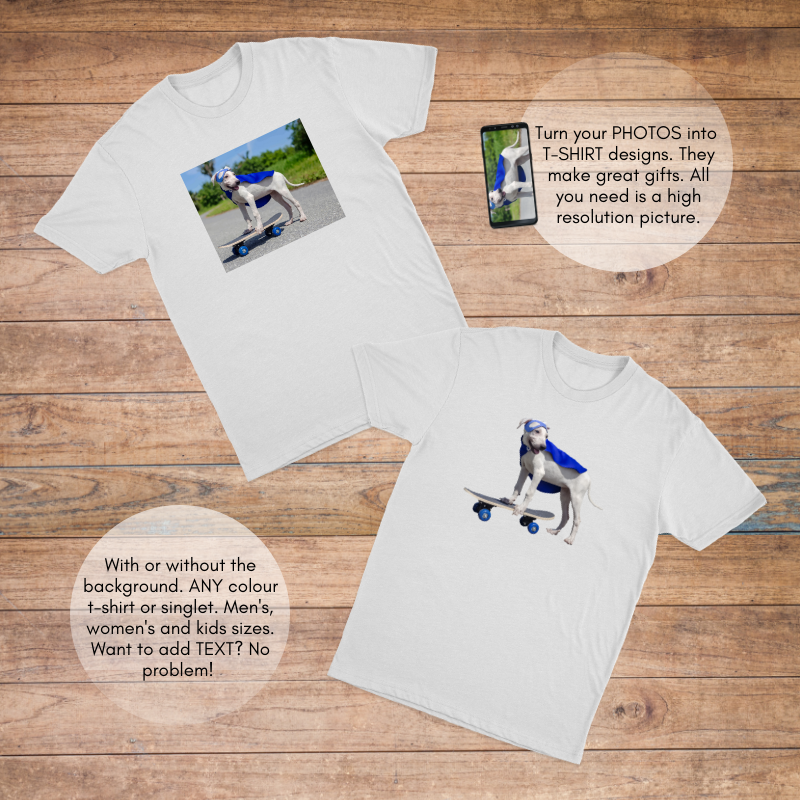 Custom Photo T-shirts. Why not turn a photo or picture into a t-shirt design. All you need is a high resolution image. With or without the background. Like to add some text? No problem! No minimum quantity. Available in Men’s, Women’s and Kids sizes. No minimum order quantity. Available in Men’s, Women’s and Kids sizes. We can also order in a variety of different styles should you require a different shape or fit. Like to order? Hit us up below!